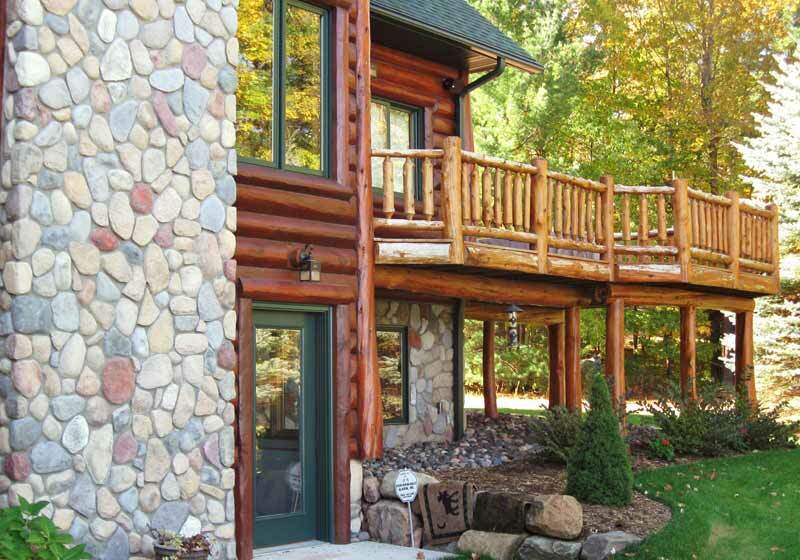 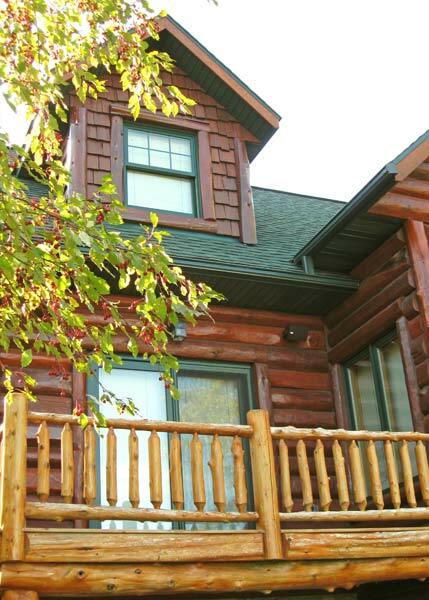 Log siding and wood finishes throughout make this a true northwoods cabin. 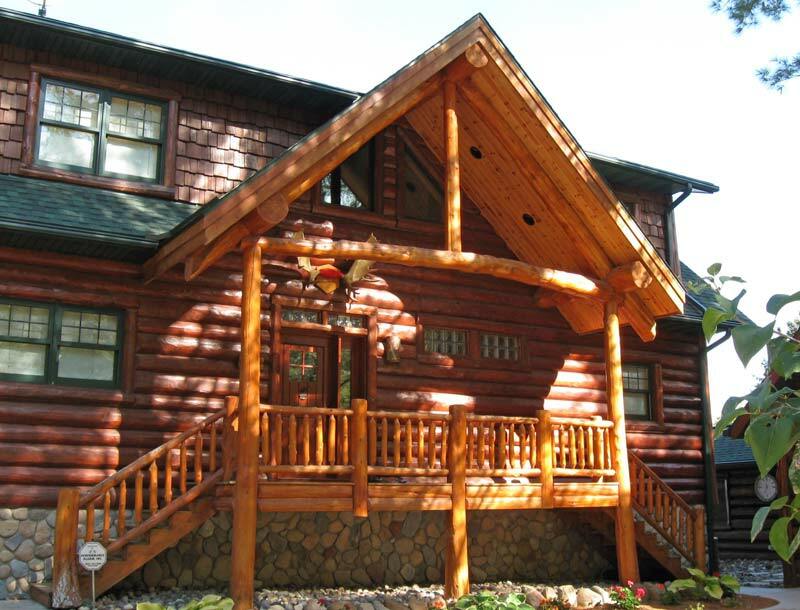 The cabin motif is reinforced by log railings and rustic exterior detailing. 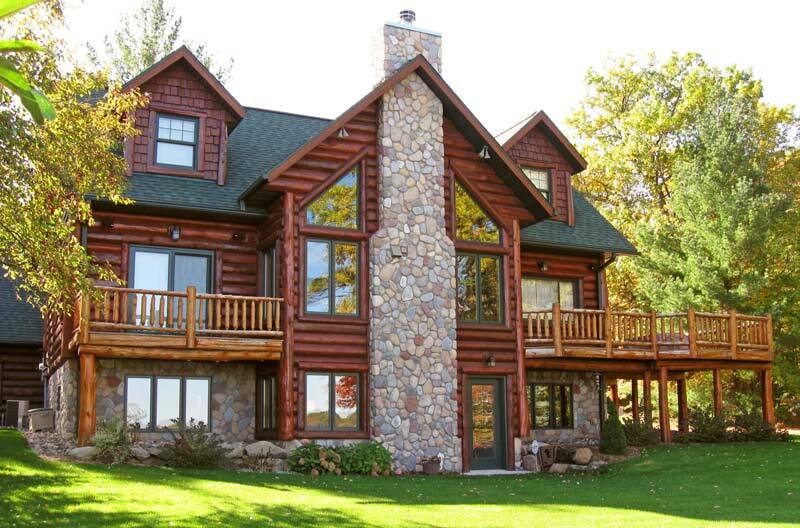 Open living spaces contribute to an airy feel for its compact footprint.